In a previous article I tried to explain the importance of Christianity to people of European stock and civilization. I am under no illusion, however, that such an argument would persuade people who have no sympathy and connection to the faith of their ancestors. The problem is that most people's minds have been too poisoned against Christianity to be susceptible to such arguments and it is unrealistic to expect any mass revival of enthusiasm for Christianity in light of how it is currently understood and practiced. Since the Middle Ages Christianity has increasingly come to be so strangely interpreted that it is now almost unrecognizable from the original faith practiced during the era of Christian kings. The modern leaders and spokesmen for Christianity are its worst enemies, as they and have managed to turn-off more and more of its natural and traditional followers. Rather than promoting Christianity as the unique and inspiring faith that it is, they have illogically chosen instead to portray it as a depressing and scolding branch of Judaism, and rather than celebrating Christendom's great achievements and Christian society's peacefulness and order, they focus with tunnel vision instead on the petty short-comings of individual members and their imaginary sins. The only logical explanation I can think for this behaviour is that most leading Christian clergymen have lost faith in Christianity and many powerful figures have even secretly become atheists or converted to some other non-Christian religion. Incorrectly believing that this uninspiring version of Christianity is the only possible and correct version of Christianity, most modern Europeans and North Americans have turned their backs in disgust on it, along with their history and heritage. Hopefully, the Alt-Right will be the right kind of movement to pick up the banner of civilization and to re-energize Christianity. In contrast to the image of Christianity today, I see much to admire in the way Islam publicly presents itself. Its followers and spokesmen are proud and confident, and sure of their beliefs and their rightness. Their masculine-looking bearded leaders never abase themselves with groveling apologies or fail to stick up for any of their followers. They act and look like winners. The feeble, soft, and creepy-looking spokesmen for Christianity, on the other hand, typically only intrude on our consciousness in relation to some sexual accusation or to make some embarrassing announcement about their passivity or naivety, pathetically parroting the beliefs of anti-Christian politicians. Converting to Islam I think would be a very tempting choice for any young man today and I think I would have a hard time arguing any of them out of converting. I, at least, can remember another world where Christianity was taken more seriously and respected, but young men today have had nothing but anti-male, anti-Christian, and anti-White abuse thrown into their faces all their lives by the media, the entertainment industry, and the education system, no matter how blameless they are. What Christian leader is standing up for them and what's in Christianity for them? Surely, anyone would jump at a chance to escape all of that abuse, and live in a world where you are respected for being a man, and even being granted the coveted status of being non-White to boot. It is natural for young men to want to be proud of themselves, respected by women, and feel they are part of some great enterprise that is on the right side of history. Moslems are able to show their pride in their membership in their religion publicly through their distinctive beards, hajibs, and other traditional dress. I am envious of the degree of defense against the ignorant and the bigoted that this offers, it says to the world: "Back off, don't engage with me unless you respect me and my beliefs because I am not ashamed of them and will vigorously defend myself!" The ordinary Christians' lack of any handy identifying gear makes them vulnerable and seems to say to the multi-cultural world that we have no firm beliefs or are ashamed of them, and can be easily bullied into accepting anything. SJWs, on the rare occasions when they do discover that there are other people of European descent with opposing views to them, are 'triggered' and actually react with shock, anger, and even violence. Feminists, Marxists, and gay rights activists are categorically against many values that Moslems share with Christians, but the public confidence of Moslems seems to dissuade them from attacking or criticizing them. The low visibility of Christianity in North America seems due to the fact that in the U.S. and Canada, Christianity is no longer considered to be a mark of high status. 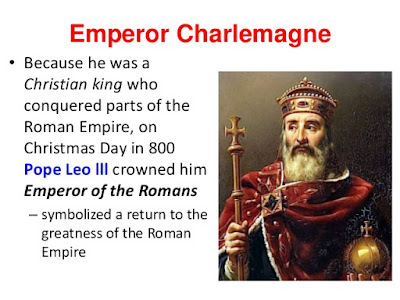 This loss in status was not the result of a defeat on any military or cultural battlefield; it was the end result of popes and other clergy ceding over centuries more and more power to kings who then became overbearing or corrupt and were then eventually replaced in turn by politicians who felt no particular loyalty to their countries and even considered their citizens enemies. The executions of King Charles I of England, King Louis XVIII of France, and Czar Nicholas of Russia, rather than historic milestones for freedom and human rights, were ominous signs of the deluded and misled European people's determination to destroy themselves. As bad as kings could be, the role of such rulers was to be the spiritual fathers and protectors of their people. To take power from them and put it into in the hands of crass politicians that did not see their citizens as family, but rather as workers or consumers that they had no kinship to, and preferred to cater instead to special interest groups, has resulted over and over again in disaster, war, and mass murder. The people that executed their hereditary kings were in turn executed by the leaders they chose to replace them with. Though a stronger Christian faith lingered longer in a North America untouched and untraumatized by world wars, and it restrained its elites from joining their shell-shocked European counterparts' rush to embrace nihilism and self-destruction for a time; the WASP ruling classes of Canada and the U.S. were finally and thoroughly demoralized by the combined forces of the media and entertainment industries during the Hippy revolution of 1960s. They now as a class scorn the idea of patriotism and loyalty to their people (with exceptions such as Orban and Trump), and seem content to enjoy their remaining wealth and status as they get ready to rule over a third-world version of their countries. The mainstream Protestant churches the WASP elite once proudly headed are now dying fast, and the only people of European stock in the U.S. that still openly identify themselves as Christian are considered the essence of deplorability: working-class "White trash" or "rednecks" of the U.S. South and urban ethnic Catholics (Irish, Italians, etc. ), making it clear how déclassé it has become. 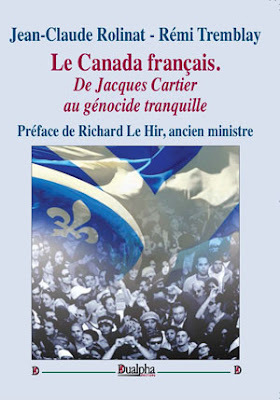 In English Canada Christianity is likewise an unfashionable rural and ethnic phenomenon. Quebec is as atheistic as any European country. The reason these people are still openly Christian in an Anglo North America when Christianity has become so unattractive, is that they still see themselves as belonging to a community and Christianity is still a big part of the identity of these communities. In discussions of 'religion' (usually meaning forms of Christianity) its ethnic component is routinely ignored as being an important element, as if your affiliation is purely a matter of personal choice. It is assumed that in the current year we all exist and identify as sad, atomized, and alienated individuals with only voluntary and theoretical connections to the other people in our society. Though undoubtedly there are probably many of our elite that can afford to be so independent and isolated, and do not require the help or support of a community, or derive any of their sense of self-worth from belonging to one, there are still a good number of deplorables that still feel and need an emotional connection to their family and people, and its culture and history. The myth that there is much of a choice in one's religious affiliation and belief is all an attempt to convince Europeans not to identify as Europeans but instead with some other alienated fringe group outside and opposed to the mainstream culture, groups which are always sympathetically portrayed as heroic and morally superior by the hostile media and entertainment industry. These hostile entities are playing on the strong natural individualism of Europeans to discourage them from thinking of uniting and organizing, and acting in their own best interests in an increasingly multi-cultural society in which there is increasingly aggressive competition for special rights and privileges. The idea that religion is all about beliefs and individual choice can easily be refuted by just a look in a mirror. What face do you see there? Does it look like the face of a Buddhist or a practitioner of Voodoo? Does it look like the face of someone you would see exiting a Mosque or Synagogue? Some things we have no choice in being, and we can no longer afford to be confused about that. Christianity is not really supposed to be all about you and what is going on inside you. Of course, if you listen to any of the cucked preachers and priests that are professionally Christian, they will tell you that that is exactly what it is: a merciless and endless exercise in self-examination for sin and guilt, but is that really the same Christianity that our pagan warrior ancestors converted to? Do you really think that some priest presented those fearsome warriors with a long list of sins and semi-sins that they would now be expected to subscribe to as Christians, and that they were promised in return for this acceptance to be made to feel guilty and anxious their whole lives about them only to go to hell in the end? Would they really have signed up for that? No, of course not, they would have laughed in the missionaries faces, cut off their heads and stayed pagans. What they were most likely were told was that if they accepted the Christian God and prayed to Jesus they would go to heaven, end of story. As for sins, Jesus, unlike the pagan gods, was forgiving so your chances as a blood-thirsty warrior of getting into heaven were actually pretty good. The manly values they already had would not have been challenged and would have been respected. How then did we go from such a simple and happy religion to the neurotic and depressing nonsense that passes for Christianity today? Well, that change happened when Christianity started to lose its cache. The people that were really into Christianity originally were just the nobility that were converted; everyone else just came along for the ride. The ruling class used Christianity to justify their rule and everything they did, and were the only ones who had the time to study and think deeply about it. The peasants, who were mostly concerned with staying alive, only had a very basic knowledge of Christianity which they confused with their earlier beliefs. As a result, peasants were constantly forced to go to church to celebrate some holy day or saint to remind them over and over that they were Christian and in what they believed. It would have been like going to the movies for them, looking at the beautiful stained-glass windows, paintings, and sculptures in the great cathedrals and whatever little wonders the village churches could get together, if offered them a glimpse of something a world away from their daily monotonous lives poverty and ignorance. Of course, the new religion had benefits for such ordinary people that they were not even aware of. 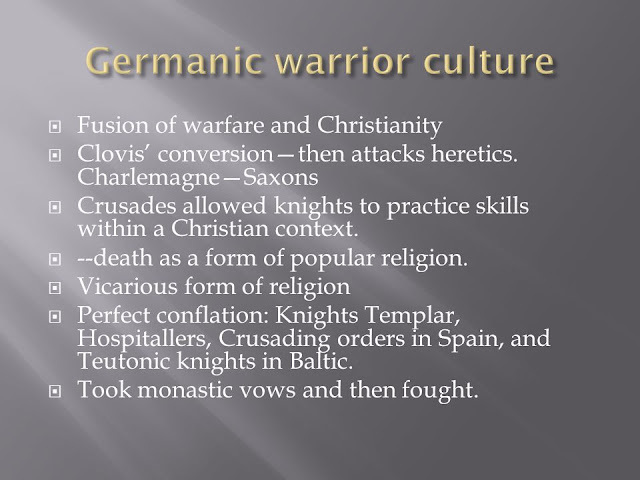 The Church wanted to break up European tribalism because tribes had tribal gods and tribal wars, and banned cousin marriage so that eventually all Europe was united under Christianity, and that was a good thing. Europeans began to saw themselves as more of a family, or at least fellow humans. There were no more Vikings selling Slavic women and children as slaves to the Ottomans, and no more were nobles free to treat peasants like soulless animals. In these long ago days, it is likely that the only sins that priests would have been really interested in hearing about from peasants in the confessional box would have been about any back-sliding into paganism rather than the details of squalid village squabbles and lusts. These rural people never really lost contact with their fairies and gods of the woods and countryside, and could have easily gone back to a life without Christianity at any time if left to themselves, so they had to be closely monitored up until modern times. Not believing in Christianity was the equivalent to not believing in the Christian king's right to rule, so fairies and former gods became devils and witches, and the punishment for anyone having anything to do with them was as serious as that for treason. It is hard to say when the peasants finally saw Christianity as more than simply a set of obligations, but the masses probably became something more than nominally Christian a generation or two before World War I, or so I guesstimate, with the coming of mass literacy and education. Right about then, however, was exactly when European kings lost all resemblance to traditional Medieval kings, they were no longer warriors, rather than having their power being based on their own battlefield prowess or that of their followers, they had become crowned civil servants serving at the whim of politicians and moneymen. Science, instead of Christianity, was claimed to be responsible for progress and fashionable pseudo-scientific theories like Marxism and Freudianism provided just the excuse the European intellectuals needed to ditch Christianity, which by now only excited those who were recently peasants anyway. The antipathy and distain of the rulers and elites of Europe for their newly educated and properly Christian populations, is illustrated by the fact that they allowed two insane world wars that slaughtered millions of them. This on-going antipathy of Western leaders towards their native European populations is demonstrated today by their current attempts to replace them with armies of third-worlders. Rulers not legitimatized by Christianity are not restrained by Christianity, and don't care either if their citizens are good Christians or Christians at all. 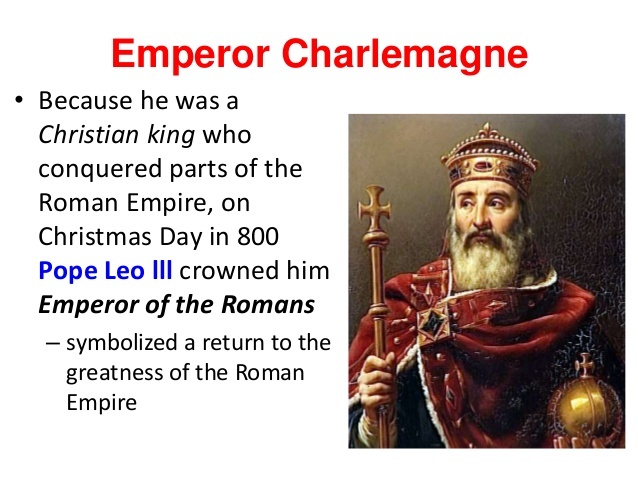 Kings were once monitored by Christian clergy in the Middle Ages, but now what Christian leaders we have are just tolerated by our secular rulers. The clergy are aware of their lack of power, and as a result the only people they dare criticize with vigour are ordinary and powerless Christian believers. In our great-grandparents time this compensatory turning against the faithful first mostly took the form of incessant warnings of hell and an ever expanding list of petty sins. Is the Christian god, the creator of the universe really so concerned with each individual's petty shortcomings? Of course not, and it is surely the height of vanity for someone to think he would. This deranged mania for endless self-examination for sin has led now to the eager adoption of all sorts of political sins as spiritual, which co-incidentally only seem to afflict people of European roots. Christianity today has become an endless and pointless exercise in self-flagellation, as no penance will ever wash away the sin of 'White privilege.' This leaves it with a core audience of masochists, naïfs, and females that lead sheltered lives and can accept and live with its strange tenets. Forget about defending your civilization, and safeguarding your children's future and safety in the strange and hostile new Canada we see forming, you are supposed to focus exclusively on yourself and these supposed faults of yours to the point of paralysis. In a homogeneous society such obsessive self-examination would probably be a harmless enough hobby, but that is not the kind of society we in the West will be allowed to live in anymore. Christian Europeans will have to start thinking of themselves as a tribe if they wish to survive; but Christianity gives them the strategy we need to survive if they look at it correctly. Christianity is not about selflessness and self-obsession; it is about having a concern and love for brother Christians. If you can't love your Christian neighbour, but only someone you've never met somewhere in the third world, you are not a Christian. That is not love, that is self-hate, and hate has no place in Christianity; it is all about love for your family, country, and people. We need to get away from a neurotic and hyper-intellectualized concept of Christianity with its self-loathing and guilt, and get back to a more primitive peasant Christianity our ancestors knew and enjoyed. We have to get away as well from the poisonous idea that to be a Christian you have to be a perfect person, and even the idea that Christ himself was a perfect person; there is something quite unChristian about the idea of perfection in this world. Jesus was human just like us in his time on earth, and it is reasonable to expect he would have all the typical human failings. Such an idea of Christ would be more in line with the tradition Irish idea of a saint: just a regular guy that God was fond of because he brings people to God, not some insufferable prig. Setting up standards of unrealistic perfect behaviour is what numberless Protestant sects have been based on, and it embitters and disillusions people, and sours them on Christianity as a whole, when they or their role models fail to live up to their unrealistic expectations. We should be aiming for inclusivity only within our European family; the Christian church should be a home for all European people, we have had enough wars between brothers. People of European stock should not let the caretakers of empty churches define what it is to be a Christian. It would be fantastic if not particularly religious young men of European stock would begin to openly and unapologetically identify themselves as "Christian" instead of "White" and take back a brand which still has great value. By adding the word Christian or "Christ" to the name of your organization, it not only will attract people to something familiar but will force your enemies to attack Christianity when they attack you. The Charlottesville protesters were portrayed as standing up for something foreign and hateful because they did not identify themselves as Christians, which being of European stock they have every right to. That is the way forward. Christianity should have a young, proud and male presence in the public square and in the streets, and lose its association with sappy sentiments and irrelevant old men. The kind of priests or minsters we need have to be far more manly and visionary, and be respected and feared by their communities for their exceptional powers like druids or prophets of old and not larping as second rate psychologists or social workers. They have to step up and be the leaders the European people and their descendants no longer have, until proper political leaders arise. I see no sign of such religious leaders presently but hopefully, young men will rediscover their heritage and take over dying Protestant churches and their buildings, and preach and inspire with their Good News. Just as it would be easier for the Alt-Right to take over the Republican or Conservative parties and inherit their membership rather than create a brand new party, the Alt-Right would be better off taking over Christianity rather than inventing some atheistic philosophy or re-invent some religion from scratch to better express European spirituality. If there truly is to be an injection of an invigorating Alt-Right ethos into Christianity, that might also might be the right time in history to finally introduce the heroic European tradition into Christian worship. 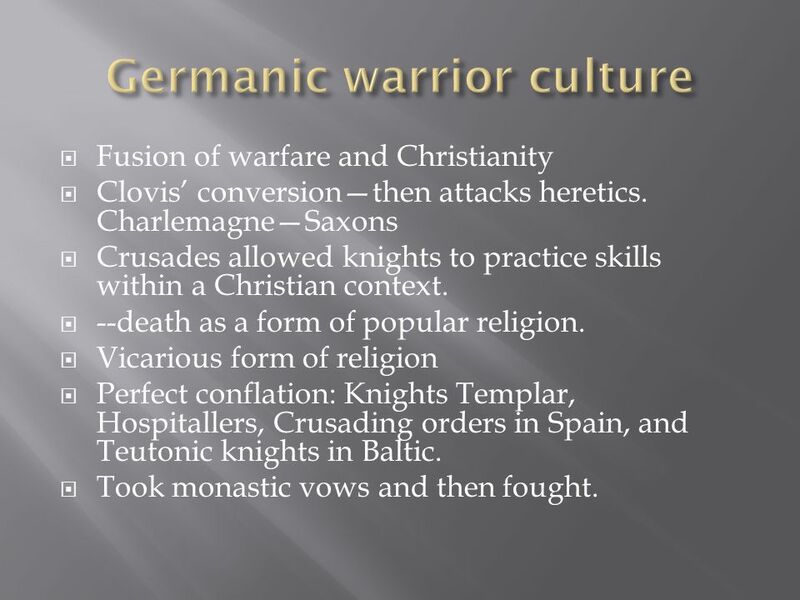 Besides readings from the Gospels, passages of heroic pagan literature ought to be recited in church that illustrate healthy European values like loyalty, bravery, and love of your people. Lessons and morals can be drawn from how our fore-fathers conducted themselves and a connection made between our ancestors' beliefs and Christianity. Our ancestral European beliefs should be shown to be natural precursors to Christianity, not Judaism. The church owes it to the European people to acknowledge our pre-Christian tradition. In olden times when our ancestors were mostly illiterate, stories from the native oral and pagan traditions could be safely ignored, but we are no longer illiterates and it is insulting to still treat our European traditions as illegitimate and irrelevant, in favour of Jewish traditional tales. Heroes from the German, Irish, Greek, Roman, and other European traditions should be held up as examples to worshippers. The choosing and editing of appropriate texts will require great sensitivity, erudition, and inspiration and it could kick-start a new age of learning. By celebrating and studying Jewish heroes and stories, and making them the bulk of the Christian bible, Christianity inadvertently created doubt about the importance of the smaller Gospels. Christians have erroneously been encouraged to emulate Hebrew heroes, which has led to the creation of countless Protestant sects that saw themselves as more authentic than, and the enemies of, other Christians. All this in-fighting and doubt laid the ground for the current anti-Christian atmosphere of atheism and cynicism, in which SJWs see themselves as better and the enemies of a people they are biologically identical to, because they see themselves as morally superior to them in their hearts. In other words, they ironically see themselves despite their disbelief to be better Christians. It is important for all lovers of pagan European tradition not to see themselves, and set themselves up, in opposition to Christianity, but to position themselves as being part of an unbroken line of European spirituality. We cannot afford to delegitimize our more recent Christian ancestors and their accomplishments. The Christian European god should not have rivals. Odin and Zeus should not be referred to as "gods" in this era, the meaning of the word has changed. To our ancestors these 'gods' would have been much closer to magical and monstrous beings that actually physically encountered humans, rather than the benevolent spirit overseeing the universe that we think of "God" today. We should talk of them as our ancestors, and as the leaders of the Olympians or Asgardian war-bands, the way the Irish demoted Finn MacCool to being chief of the Finnians when their nation was Christianized. Otherwise, we will have break-off sects championing Odin or Zeus. It is better to have Odin and Zeus integrated back into the mainstream of European Christianity rather than wasting energy of creating some parody of Christianity or just another protestant sect that simply calls god Odin or Zeus. Christianity has to be a part of any pro-European movement, if it is to be genuinely popular and not a fringe movement. Would-be pagans should have no fear; Catholicism has and always will accommodate and can tolerate a lot of local and pagan tradition and beliefs. European peoples cannot afford anymore to fight each other. 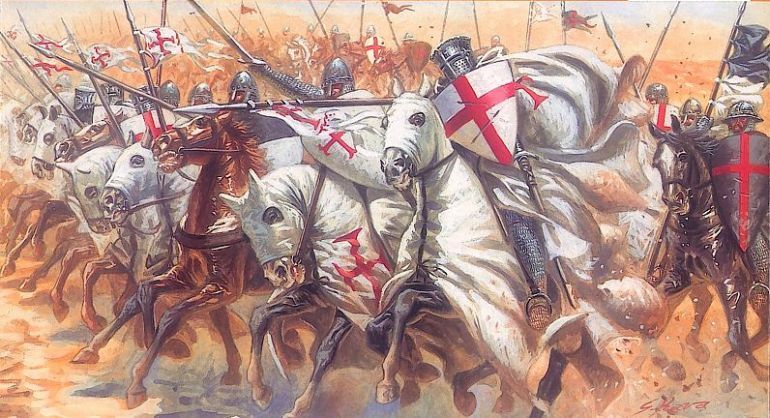 There is probably one last great battle ahead for the European peoples, and it will be between European peoples that love themselves and European peoples that hate themselves, but when victory is won, it will be more lasting and meaningful than all the empty victories in all the pointless inter-European wars we have fought for centuries that have brought us to this sad place.